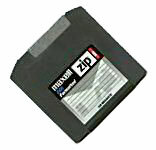 We will transfer the data off the 3.5" Floppy & Zip Discs & you can download the data. Download & print this PDF Order Form, fill it out and send it in with your 3.5" Floppy Discs and Zip Discs. Once your order arrives we will send you an email letting you know that it arrived safely & and when we expect your order to complete. We will also collect your payment information at that time. The data on these old types of media can degrade over time - which is why it is important to get the data transferred off. Plus, most likely you no longer own a computer that can even read a Floppy Disc & Zip Disc anymore! 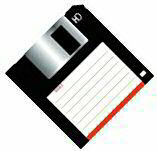 Now is the time to finally get your files off your old Floppy and Zip discs where you can see and use those files again. The longer you wait to have them transferred the more of a chance you have of losing your information. If you have important information on your Floppy of Zip discs, look no further. Here at Larsen Digital, we can transfer them quickly to a disc, and you are ready to use them again.